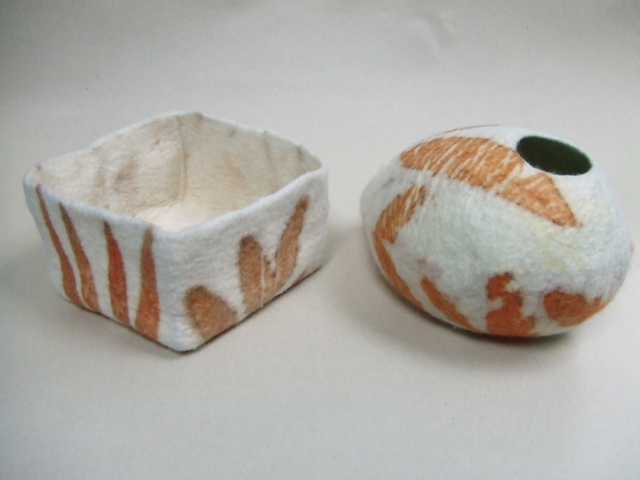 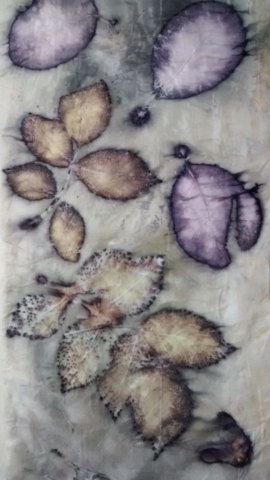 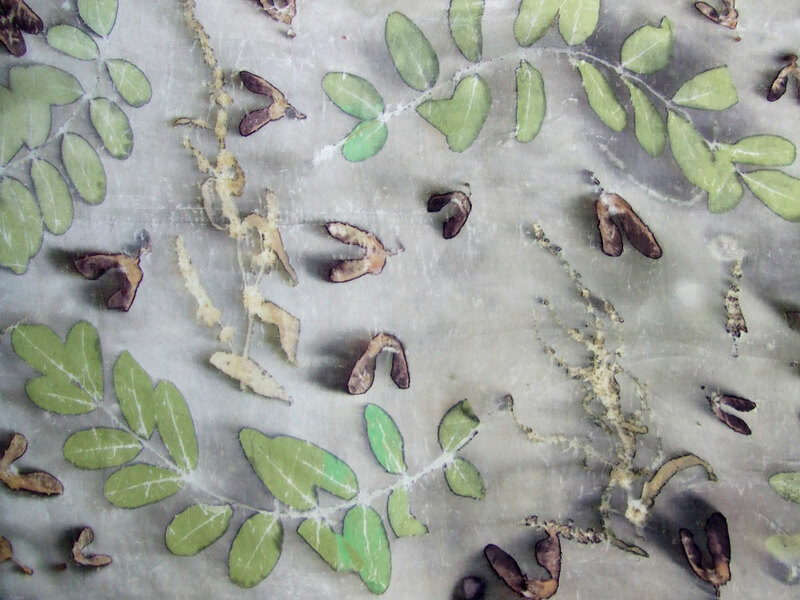 Kim Winter of Flextiles is a textile artist who specialises in ecoprinting and natural dyeing, indigo shibori and wet felting. 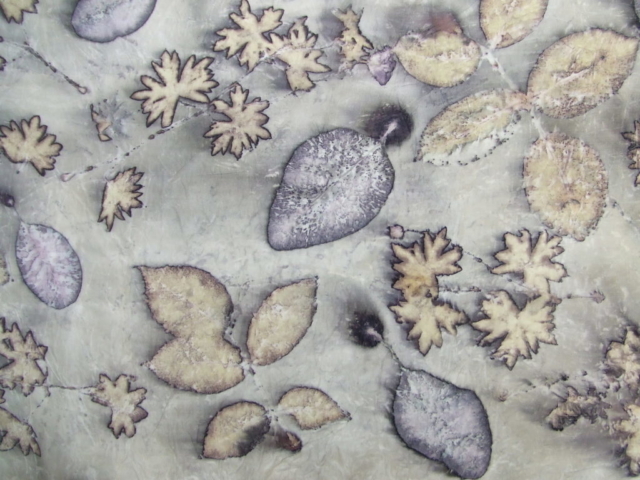 Ecoprinting involves making a bundle of leaves in fabric and steaming or simmering in water or dye. 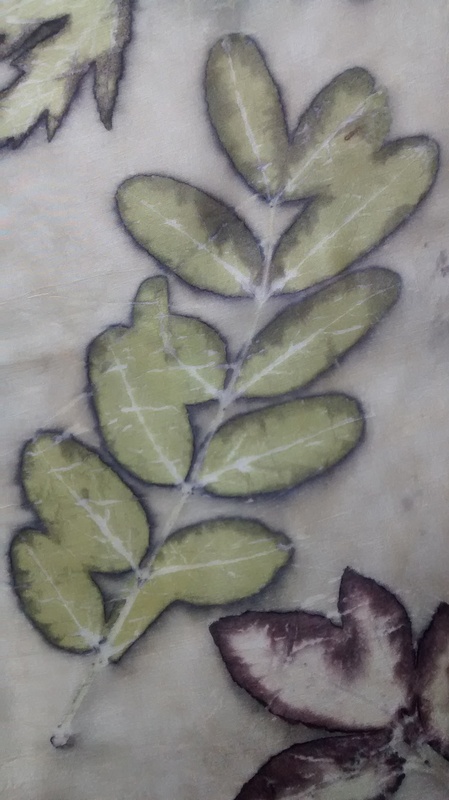 In these conditions, certain plants leave their imprint on the fabric, as in the images below. 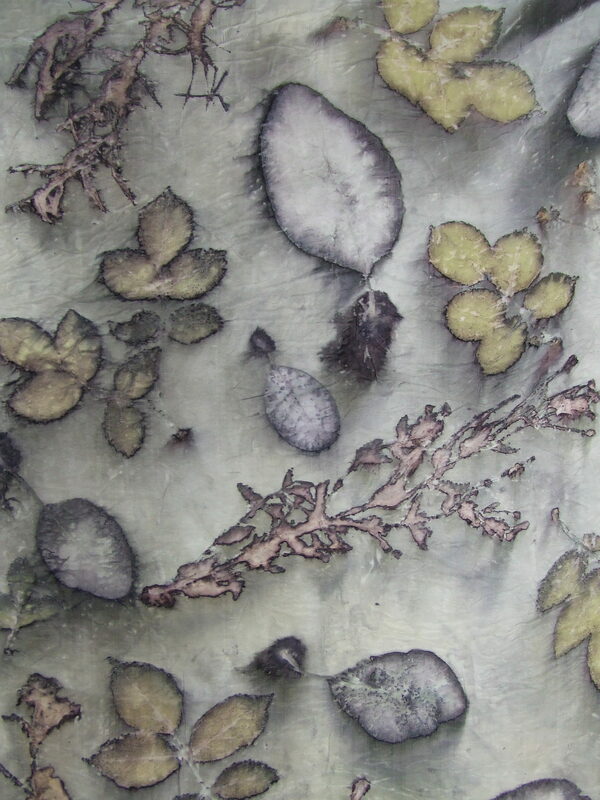 Different effects can be produced by using different plants, dyes and mordants.